Amongst all the political buzz surrounding the legalization of marijuana and Trump’s most recent activities, it can be easy to forget that it is just as important to use your voice on a local level. Oakville’s 2018 municipal elections concluded on Monday October 22 in Rob Burton’s favour. 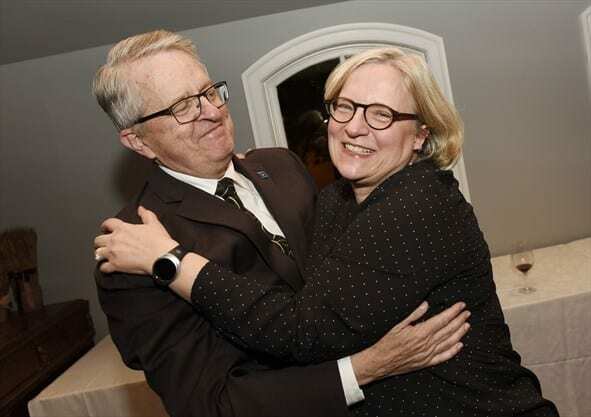 Burton earned his position as the mayor of Oakville for the fourth consecutive term with an impressive 49.64% of votes, according to unofficial results. 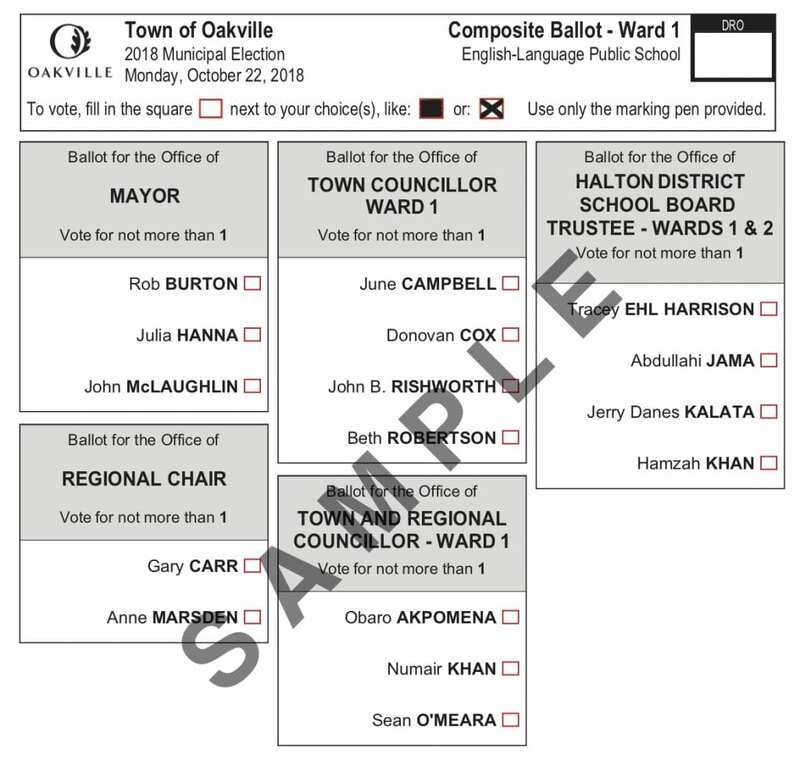 Read on to learn more about what this means for the residents of Oakville and the importance of using your voice in elections, whether federal, provincial, or municipal. This year’s candidates for mayor were current mayor Rob Burton, Julia Hanna, and John McLaughlin. Burton, who came to office for the first time in 2006, is a University of New Mexico and Columbia University graduate. Throughout his career, both as a journalist and a politician, he has been a huge advocate for environmental protection and green space. He has also been a vocal supporter of Ontario’s Greenbelt during the years. His initiatives for Oakville in the coming years include saving Glen Abbey Golf Course to keep it as part of Oakville’s historic green space, continuing tree growth, improving traffic flow by widening major roads, and delivering two new recreational centres. He also hopes to keep Oakville’s status as the most crime-free region of the GTA, and the most financially healthy region in all of Canada. Though disappointed with not winning, candidate Julia Hanna was even more disappointed with the lack of turnout at the elections. A mere 37.09 percent of eligible voters in Oakville marked their ballot papers. Following the disheartening attendance, Hanna has stated that if she could go back and change anything about her campaign, she would increase awareness of municipal politics and the effect it has on our lives as citizens of Oakville. Voting is a crucial part of being an active citizen. As residents of Oakville, we all have a duty to use our right to vote. Voting not only enables the people to have a say in their government, it also brings forward political cooperation. Our municipal government has an impact on our daily lives, and voting is vital in increasing awareness of politics and in realizing the importance of democracy and citizenship. So how exactly would one go about using their voice? In order to vote, you must be a Canadian citizen of at least 18 years of age. Not surprisingly, you must also be a resident of Oakville. On Election Day, be sure to bring an acceptable form of government-issued identification and your voter information notice, mailed out in September. At your nearest voting booth, which can be found by clicking here, you will receive a ballot that you may fill in with the candidates of your choice. The importance of voting is often underestimated and reduced to something reserved for those who are very active in politics, when, in reality, it is something everyone should be invested in. If you’re not able to vote yet, get involved by reading up on municipal, provincial, and federal politics, Consider volunteering at your local voting booth or even attending town hall meetings. Most importantly, use your voice!